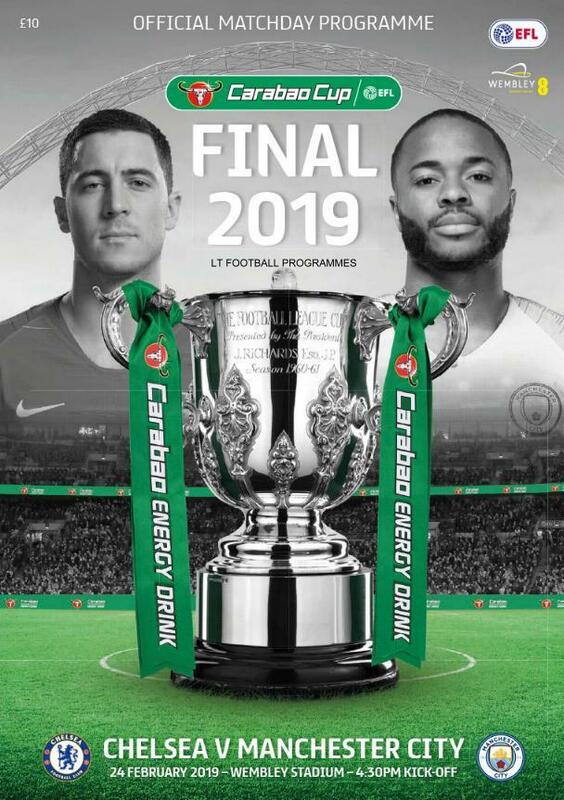 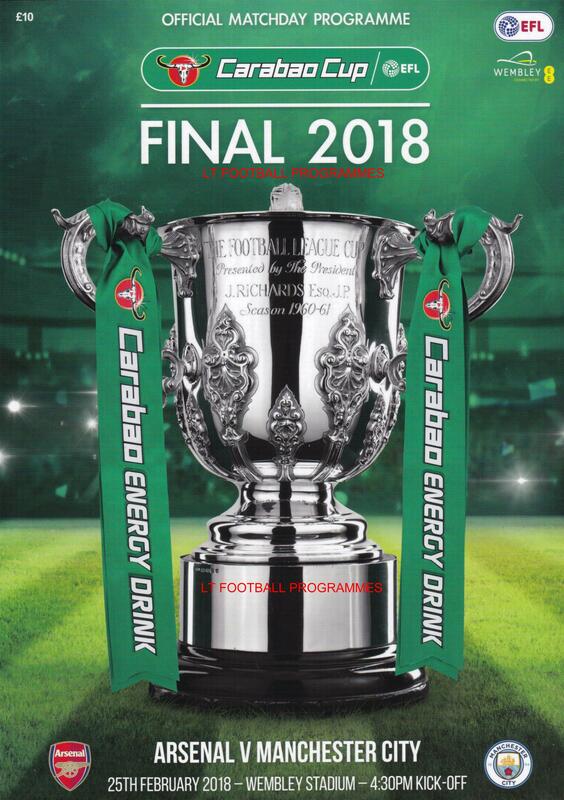 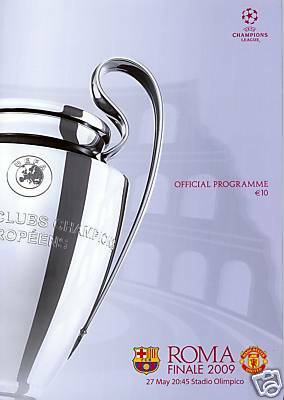 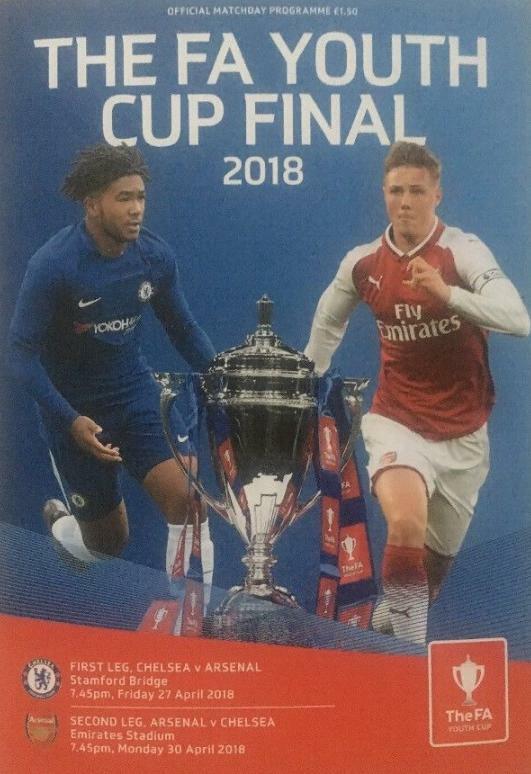 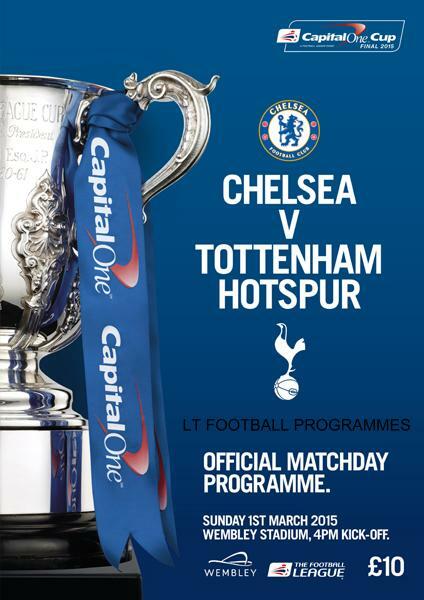 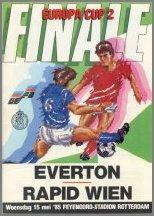 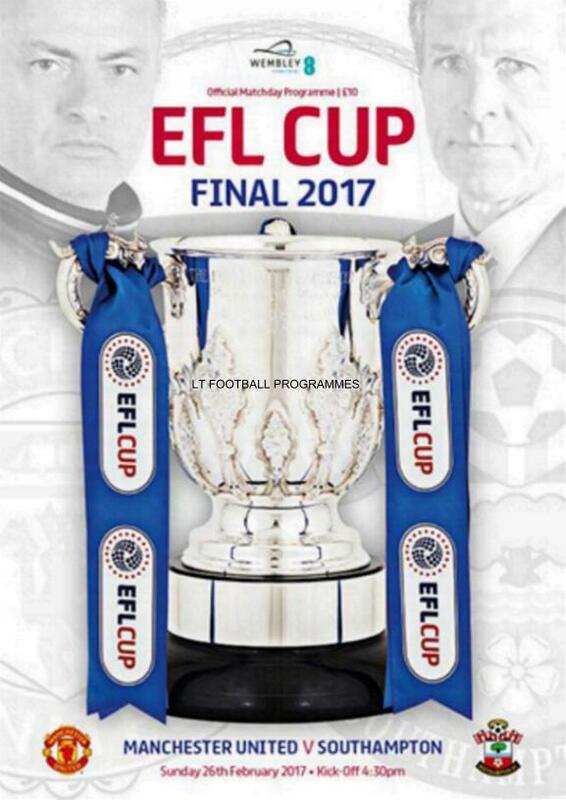 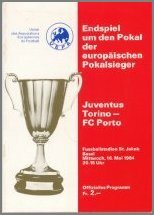 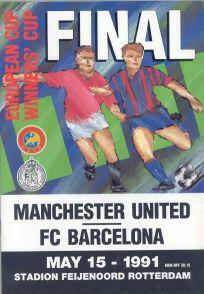 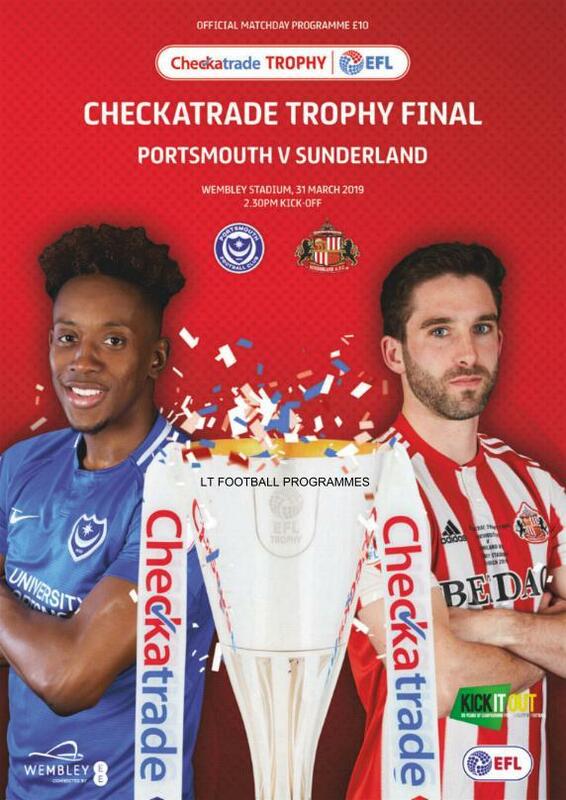 MINT CONDITION OFFICIAL MATCH PROGRAMME FOR THE 2017 EFL CUP FINAL PLAYED AT WEMBLEY. 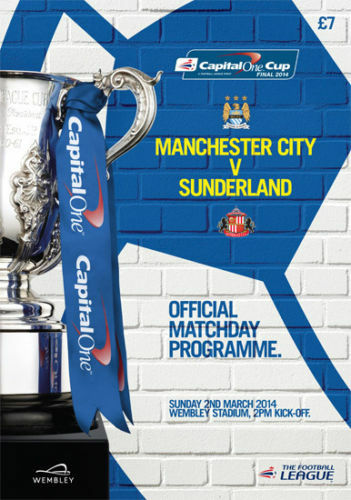 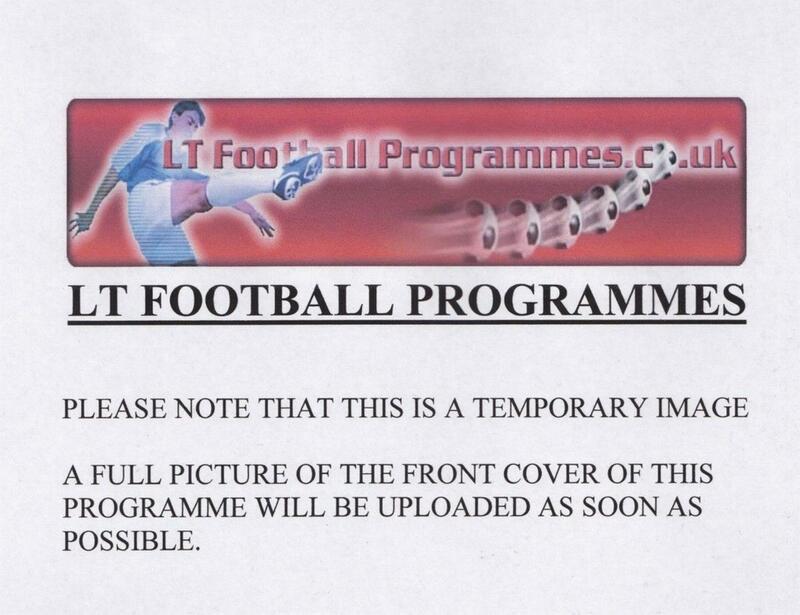 MINT CONDITION OFFICIAL MATCH PROGRAMME FOR THE 2016 CAPITAL ONE CUP FINAL - LIVERPOOL v MAN CITY. 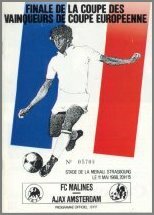 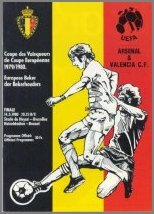 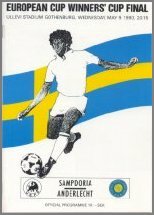 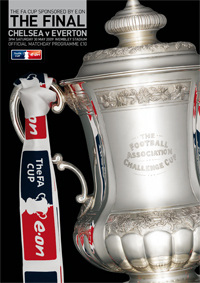 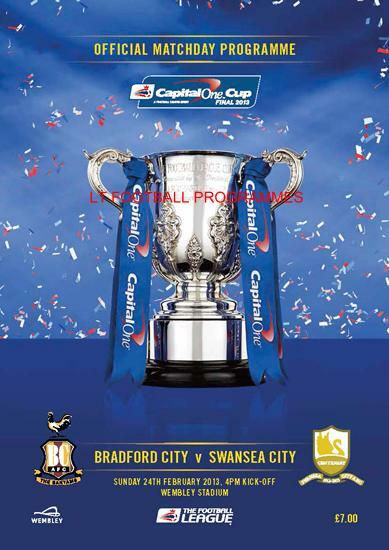 MINT CONDITION OFFICIAL MATCH PROGRAMME FOR THE 2013 CAPITAL CUP FINAL PLAYED AT WEMBLEY ON FEBRUARY 24th 2013 - BRADFORD CITY v SWANSEA CITY. 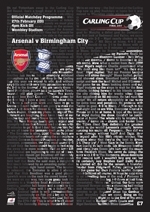 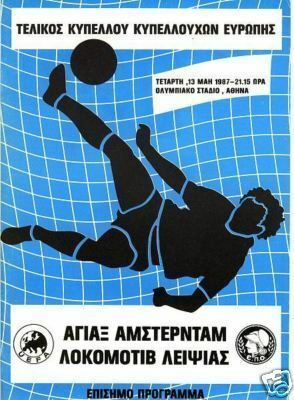 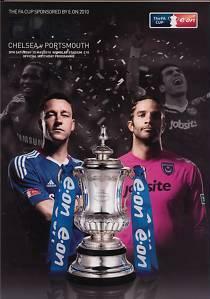 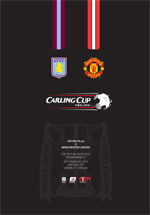 MINT CONDITION OFFICIAL MATCH PROGRAMME FOR THE 2011 CARLING CUP FINAL PLAYED AT WEMBLEY STADIUM ON SUNDAY FEBRUARY 27th.